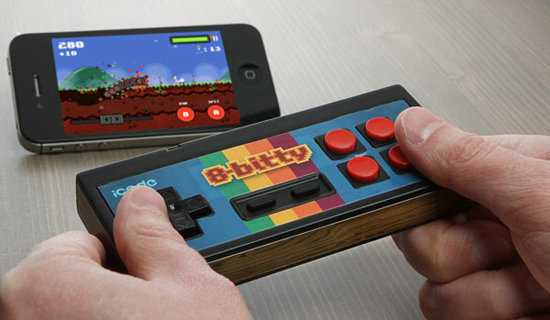 FAIRFAX, VA – February 13, 2012 – ThinkGeek is set to unveil its newest product, iCADE 8-Bitty, at the 2012 Toy Fair in New York City. Its big brother, the iCADE gaming cabinet, began as an April Fool’s joke and soon became the most anticipated ThinkGeek product to date. The iCADE 8-Bitty will bring the magic of the iCADE to the pockets of smartphone and tablet users by delivering an enhanced gaming experience everyone can enjoy.